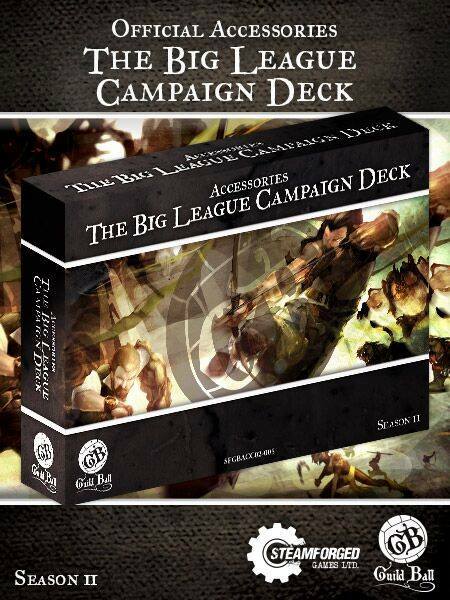 - 72 Guild Specific Plot Cards (8 Cards for each Guild. 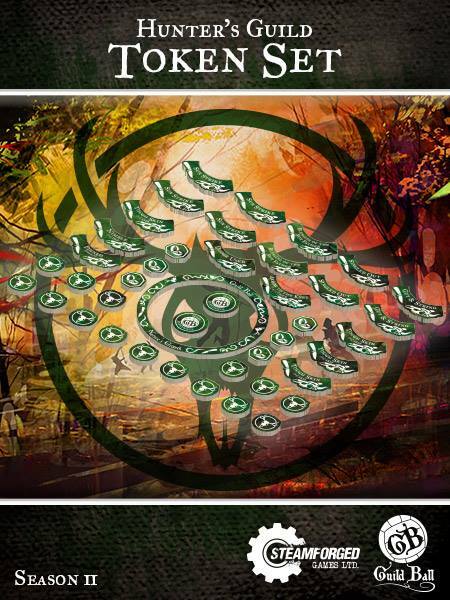 The Hunter's Guild Token Set will allow you to show of the Hunter's Guild colours on the pitch. 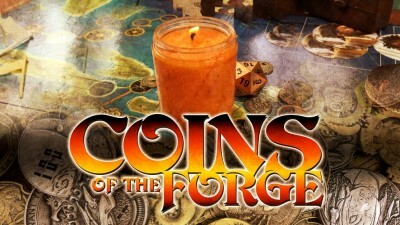 These high quality acrylic tokens will ensure that you do not forget those key synergies in the heat of the game. Expand your galaxy. Explore the many possibilities your future may hold. Three new Adversary Decks are now available for your Star Wars roleplaying campaign! Hey everyone! We are making amazing progress on this campaign! Within the first week we've already cleared 2/3 of our funding goal. With your help we have set an incredible pace ! You guys have been amazing at sharing posts and telling people about our campaign, its helped us extend our reach infinitely farther than we could do on our own, so thank you once again. Lets see if we cant keep it up and knock out this base goal! We ask that you stand with us and help me raise the money back to purchase our gear back to be able to bring you more content or help promote your games. This gear is essential to us being able to produce the video content that has been sent our way to help the publishers promote their games. Any addition funds raised will be used solely for the improvement or purchase of additional equipment to better produce the best video production possible. Handmade solid Tiles and Dice for Demanding Gamers, Masters, Designers and Collectors. A modular dungeon for your role playing game! 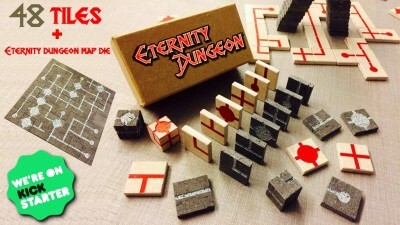 Highly-detailed 1,18x1,18" dungeon tiles made of a durable real stone. The tiles (DARK) are carved directly from the rare volcanic lava stone of last Vesuvius' eruption (Naples, Italy 1944). 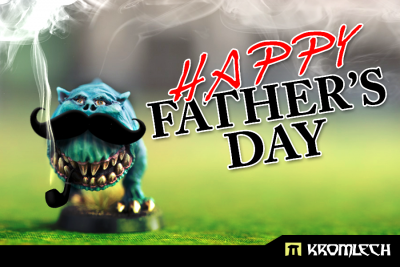 today in Poland we are celebrating Father’s Day. One way or another let’s celebrate! Starting today at 16:00 CET till the end of Sunday we have free shipping promo for all orders. Just use voucher code FREE_SHIPPING during checkout process. 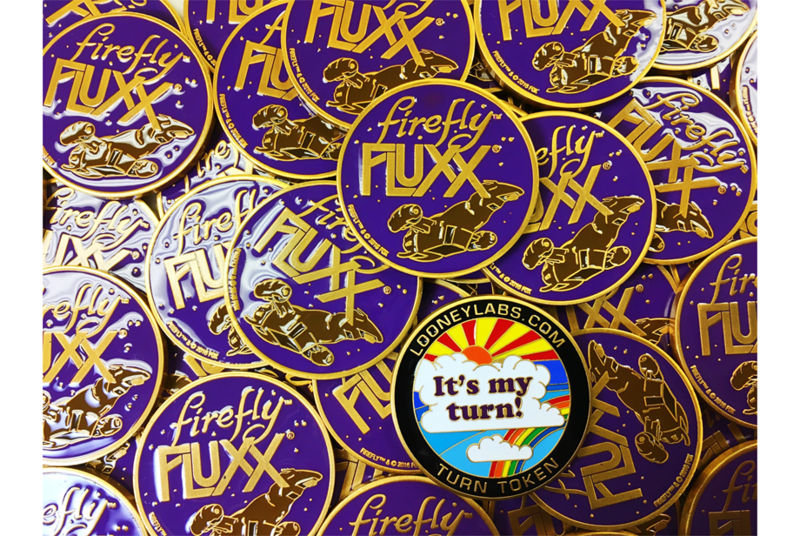 When we didn't include a turn token with the launch kits we made in conjunction with the release of Firefly™ Fluxx, our game techs were more than a little disappointed... so we made them a coin - and put it in our store for anyone to buy, not just our demo team! And it's very Shiny! Well, not shinier than usual, but unlike all the others launch coins, it's gold tone instead of silver. That's pretty shiny! Please limit yourself to three per customer, please. 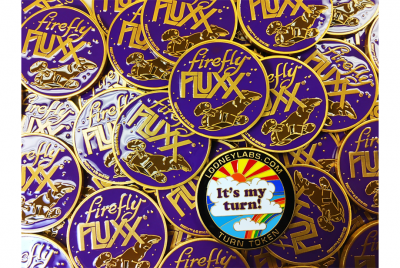 This is a 1.75" inch Challenge Coin, featuring the Serenity & the words "Firefly Fluxx" on one side, and "Looneylabs.com Turn Token" on the other with "It's My Turn!" in the center surrounded by some lovely art.